Angelica root is held high as a blessing to herbalism in the United States, just as Ginseng is to the Chinese herbalism. These angelic roots form a vital part of the history of Aromatherapy for fighting against mental exhaustion, anxiety and stress. 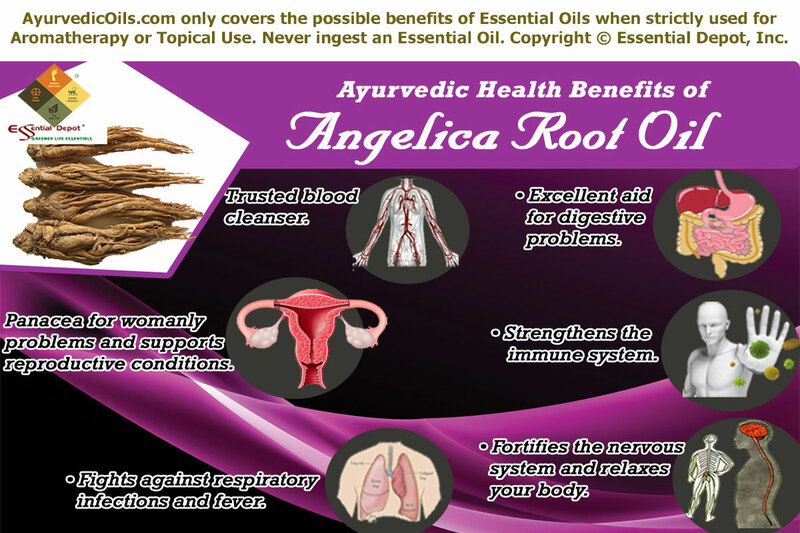 Lovingly called as the ‘Oil of Angels’ and ‘Root of the Holy Spirit’, Angelica root and its essential oil have been used for eliminating harmful toxins, purifying blood, treating rheumatic conditions and for relieving menstrual difficulties and respiratory problems. 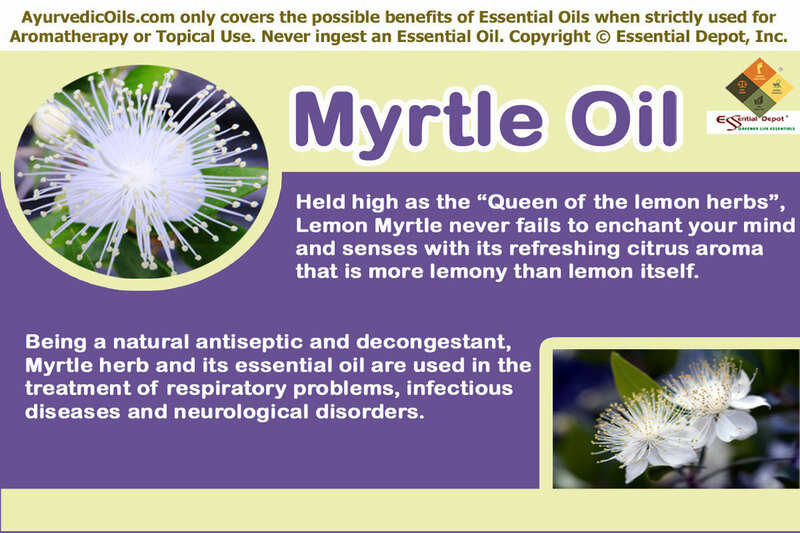 “It is one of the first essential oils we reach for in any infection or immune deficiency. Its tonic nature builds tissue and also brings balance to hormonal excesses or deficiencies”, say Bryan Miller and Light Miller in their book Ayurveda and Aromatherapy about Angelica root essential oil. With its ability to treat dysmennorhea, flatulence, nervous headaches, rheumatism, chronic bronchitis, cerebral diseases, hypertension, arthritis and many other health conditions, Angelica root is a trusted medication in Ayurvedic healing with the Sanskrit name Laghu coraka and Hindi names like Dudhachoraa and Choraka bheda. The essential oil of Angelica is extracted from the roots of this plant by steam distillation method. The predominant chemical constituents of Angelica root oil are pinene, β-terebangelene, limonene, p-cymene, myrcene, β-bisabolene, terpinolene, sabinene, pentadecanolide, α-phellandrene, linalool, cis-ocimene, camphene and certain other terpenes. The remedial values of Angelic root oil are hepatoprotective, depurative, diuretic, febrifuge, anti-coagulant, expectorant, antipyretic, stimulant, diaphoretic, emmenagogue, stomachic, antibacterial, antispasmodic, antifungal, tonic, carminative, aphrodisiac and nervine. Scientifically called as Angelica archangelica, this plant is regarded as the most unique member of the Umbelliferae family for its pleasant aroma, encompassing fragrant that is completely different from fennel, chervil, caraway, anise and parsley. Since the pre-historic period, Angelica root is compared to Dong Quai, which is a female rejuvenative herb. Similarly Angelica root and its essential oil have been used for thousands of years in the treatment of female menstrual syndromes and reproductive difficulties. Renowned herbalists like Paracelsus and John Gerard have prescribed the use of Angelica for treating various illnesses and the most notable among them was its effectiveness in treating plague, colic and viral infections. The roots, stems and seeds of this plant were burnt to purify the atmosphere naturally. French herbalists Jean-Baptiste Chomel and Nicolas Lemery have depicted Angelica herb as an effective expectorant with sudorific, tonic and depurative properties. Angelica is connected with the reproductive system in Chinese medicine. This herb has been trusted to contain Angelic powers and was used in the folk medicine and other traditional remedies for treating fever, rheumatism, rashes, toothaches, wounds and nervous headaches. The traditional populace used Angelica roots internally for aiding in the treatment of obstetric disorders, fatigue, anorexia, menstrual problems and gastric ulcers. A herbal infusion prepared with the crushed roots of this plant have been used in herbal medicine as an emmenagogue, bronchial tonic and for relieving general debility, indigestion and flatulence. These remedial roots have been a part of the Austrian medicine, taken in the form of tincture or tea for treating flu, infections, fever and problems of the nervous system, respiratory tract and gastrointestinal tract. The North European folklore practices used the Angelica roots as a shield against poisonous insect bites and infectious maladies. It was also used as a blood cleanser and for highly contagious infections. Angelica is found growing wild in Norway, Sweden, Greenland, Finland, Iceland, Thailand and the inner valleys of Himalayas including Kashmir, Lahaul, Kullu and Chamba. It was cultivated all around the world and attained high fame in the Sami culture in Scandinavia as a trusted medicinal plant and healthy vegetable. It has also been said that they used it as a flavoring agent in reindeer milk. 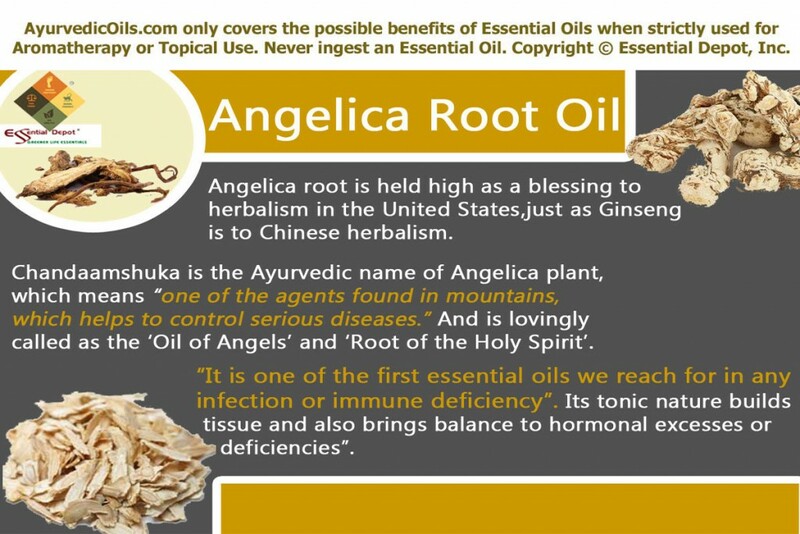 Called as the ‘Root of the Holy Ghost’, Angelica was believed effective against evil spirits and magical spells. Associated with many Pagan festivals, it was used as a guard against contagious health conditions, witchcrafts and for treating bites of mad dogs. Angelica has been used for bestowing good luck, long life, faithfulness in marriage, happiness and as a blessing to the new born as well as the mother. It was introduced in Niort in 1602 as a promising remedy for plague. It is also used as a flavoring agent in jams, omelettes, liqueurs, aquavits, trout, wines and other beverages. Angelica root is used in the powdered form for internal usage in Ayurveda and is also recommended as an oil for topical application and is also suggested as an inhalation for respiratory problems. Ayurveda is a significant part of Atharvaveda, one among the 4 sacred books of the Indian mythology where 114 verses talk about various illnesses and its Ayurvedic remedies. Ayur + Veda simply mean the ‘knowledge of life’. This traditional healing methodology states that a determined and disciplined life is the key to longevity and healthiness. Absolute health in Ayurveda is an array of physical, psychological, spiritual and environmental attributes. Ayurveda never treats diseases just by overlooking at its mere symptoms but it first attempts to trace the root cause of an illness. 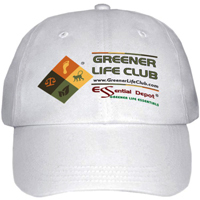 Treating the actual underlying cause aids in curing the disease initially and in preventing it in the future also. The philosophy of Ayurveda believes that everything on earth is a part of Nature and diseases occur where there is imbalance with Nature. With the firm belief that Mother Nature has all the medicines for all kinds of illnesses on earth, Ayurvedic medication spins around Nature’s innate remedies for serving humanity. The uniqueness of Ayurvedic treatment is its exclusive attention to every person as it decisively states that every human being has a unique individual constitution and their illnesses should also be treated in a unique manner as per their constitution or Prakriti, which is an arrangement of the three fundamental energies or doshas namely vata, kapha and pitta. These Ayurvedic body types or doshas are nothing but a combination of the five elements of nature and is also called as Panchamahabutas. They are space, air, fire, water and earth. Based on this natural law of Ayurveda, every person has a predominance of any one of these doshas and it acts as a deciding factor in the personality, character, mental makeup and behavioral patterns. Perfect balance between these three doshas indicates health and heartiness and imbalance between these doshas due to improper food habits, climatic changes and negligence in disciplinary actions paves way for diseases. Ayurveda prescribes natural remedies like Ayurvedic essential oils, herbs, simple physical exercises, meditation, prayers, yoga, Pranayama or breathing exercises, Ayurvedic routine, and other Ayurvedic remedial techniques like Abhyanga or Ayurvedic massaging with Ayurvedic essential oils, Panchakarma or the detoxification therapy and certain other holistic practices. Angelica root essential oil in Ayurvedic medicine is “good for all dosha types, except for Pitta in excess” quotes Bryan and Light Miller. It is also known for its curative effects in the treatment of hiccups, adrenal problems, menstrual cramps, amenorrhea, cold, anemia, headaches and improper circulation. Cold, flu, cough, bronchial congestion and other respiratory infections conquer the healthy system mainly because of kapha dosha vitiations. Kapha dosha is a combination of earth and water, excess of which leads to amassing of mucus and phlegm deposits in the nasal passages, lungs and the bronchial passages. Angelica and its essential oil are good Ayurvedic remedy for normalizing kapha imbalances for which this herb is known to have kaphahara (one that normalizes kapha) and Svasahara (one that treats breathing problems) effects. Bryan Miller and Light Miller suggest Angelica essential oil as excellent inhalation oil for treating respiratory problems. 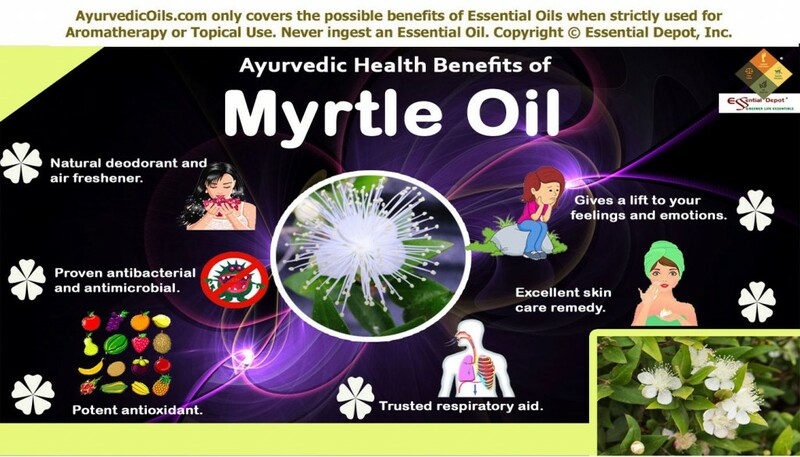 As a promising expectorant, this oil has been prescribed as a natural cure for cold, influenza, fever, cough, chronic bronchitis, blocked nose and breathing difficulties. A 2011 study titled “Angelica archangelica Linn. is an angel on earth for the treatment of diseases” by Department of Pharmaceutical sciences, University of Kashmir, India published in the International Journal of Nutrition, Pharmacology and Neurological diseases suggests Angelica as a stimulating bronchial tonic, for its effect in treating bronchial conditions, headache, fever, chest congestion, migraine, cough and certain other respiratory problems. Add 2 drops of Angelica oil along with 1 drop of Eucalyptus oil to steam inhalation for treating migraine pain, nasal congestion, cold, whooping cough, headache, bronchitis, sinusitis, asthma and breathing difficulties. A gentle massage with 1 drop of Angelica oil and 1 drop of Yarrow oil and 1 drop of Eucalyptus oil in your vaporizing ointment or in a warm blend of 15ml of pure coconut oil on your chest, throat and back can be a quick reliever of block nasal passages, runny nose, sore throat, dry cough, itchy eyes and fatigue due to cold. Massaging the foot soles with 2 drops of Angelica oil blended with 1 drop of Cumin oil mixed with 2 ml of Evening primrose oil can help in reducing the body temperature in case of fever. This also aids in combating micro-organisms that are responsible for fever and respiratory infections. Cumin and Angelica oil have excellent kapha-reducing and immune enhancing qualities that support in guarding your system against contagious fever or other infections. Primordial medicinal practices recommended the chewing of Angelica leaves or drinking the tea prepared with these leaves, for enhancing the immunity of a person. With its effect to fight against various hazardous pathogens and microbes including bacteria, fungi and virus, Angelica and its essential oil is a trusted natural medicine for promoting the overall health of a person. Bryan Miller and Light Miller in their book Ayurveda and Aromatherapy quotes Angelica oil as “Good for all dosha types and its tonic nature builds tissue and also brings balance to hormonal excesses or deficiencies.” They also state that Angelica is one among the first essential oils that they use in case of immune deficiency or infections. Adding 2 drops of Angelic oil along with 2 drops of Petitgrain oil in your warm bathing water daily can help you vastly in improving your immune power and balancing your immune deficiencies. You can also go for an invigorating massage with 5 drops of Angelica oil with 2 drops of Rosewood oil and 2 drops of Cumin oil and 2 drops of Fennel oil with 100 ml of virgin Olive oil for supporting your immune system and guard your body against vulnerable diseases. Angelica has been recommended by numerous physicians of various traditional medications, including the Traditional Chinese medicine as an excellent remedy for treating digestive problems like colic, intestinal gas and indigestion. Many physicians prescribe it for curing anorexia as it is known to stimulate the digestive as well as the nervous system. The essential oil extracted from the root of the Angelica plant helps in relieving abdominal pain, intestinal gas, colic, sluggish digestion, stomach ache, cramps, nausea, flatulence and headaches caused due to digestive disorders. Massaging your stomach with 2 drops of Angelica oil along with 2 drops of Vetiver oil in a blend of 2 ml of sesame oil can assist in stimulating the secretion bile and other digestive acids. It also helps in proper digestion and absorption of energy from the digested food. Inhaling the bitter aroma of Angelica oil by adding 1 drop of this oil in your diffuser or a tissue can support in healing wounds or ulcers in the stomach lining and intestinal walls. With its relaxing and soothing carminative properties, Angelica oil assists in expelling intestinal gas and also relieves the pain associated with it by calming the stomach, abdominal muscles and intestines. Excess of kapha dosha leads to accumulation of water deposits in the body along with the amassing of uric acid, salts, toxic substances due to improper digestion etc., This is one among the major cause for obesity, renal calculi, rheumatic conditions, gout and hypertension. Angelica and its essential oil can aid in checking these water-borne diseases with its power to control the excess secretion of kapha dosha, thus assisting in regularizing its secretion and flushing out the toxic remains in the system through sweat and urine. The essential oil of Angelica has diuretic property, which improves the quantity and frequency of urination, through which the accumulated water remains, toxic substances, salt, uric acid and fat in the blood and the body gets eliminated. With its blood purifying or depurative property, promoting urine or diuretic property, influencing sweat or diaphoretic attribute of Angelica oil quickens the elimination of toxins through sweat and urine. Massaging your body or the inflamed or painful parts of your system with 5 drops of Angelica essential oil with 2 drops of Fennel oil and 3 drops of St. John’s Wort oil along with 50 ml of coconut oil can be an excellent aid in reducing inflammation, pain, swelling, muscular soreness, irritation, redness and fat deposits and in treating urinary infections. 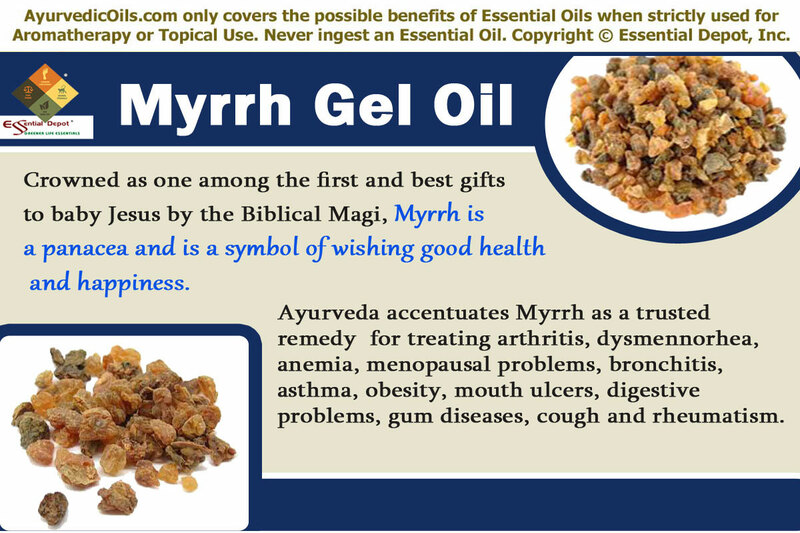 You can also add 2 drops of Angelica oil in warm compress for alleviating pain associated with rheumatic conditions and arthritis. Angelica essential oil has excellent emmenagogue properties that help in treating the premenstrual syndrome, delayed menstruation, blocked periods, menopausal problems and polycystic ovarian syndrome. Angelica has been claimed as a renowned part of Chinese medicine and ten forms of Angelica herb were known to be used for strengthening the spirit, enhancing the fertility rate and for curing all sorts of feminine problems. Adding 2 drops of Angelica oil in your vaporizer or diffuser is said to elevate your feelings and drive the negative energies like mood fluctuations, uneasiness, depression and fatigue experienced during menstrual cycle or during the post or pre-menopausal period. Gently applying 3 drops of Angelica oil along with 2 drops of Dill oil and 20 ml of sesame oil on your lower abdomen, thighs, lower back and around your genital area can assist in relieving menstrual pain, severe abdominal cramps or dysmennorhea, blocked or delayed menstruation, nausea, fatigue, restlessness and headache associated with menstruation and menopause. With its stimulating and sedative effects, Angelica essential oil is said to act as a potent tonic for the nervous system and is said to instill a positive effect on the entire mechanism. 2 drops of Angelica oil with 1 drop of Rose oil added to air freshener or diffuser can certainly help in uplifting your spirits by enhancing your mood, promoting peaceful sleep by sedating the nervous afflictions and relaxing your tensed or sore muscles. A weekly rejuvenating massage with 5 drops of Angelica oil blended with 3 drops of Rosewood oil, 3 drops of Petitgrain oil, 3 drops of Chamomile oil and 1 drop of Rose oil with 75 ml of Jojoba oil can alleviate nervous tension, anxiety, pain, anger, and negative feelings due to depression and hypertension. Angelica oil is also claimed as a trusted natural remedy for treating cancerous growths, bleeding problems, constipation, psoriasis, dry skin problems, liver infections, diarrhea, sore throat, typhus fever and certain other health conditions. This information is only for the purpose of education and is not recommended for treatment or for substituting any professional medical advice or prescribed medication. We are not medical experts and this article is published only with the view of sharing the traditional wisdom of Ayurvedic healing, world’s oldest healing methodology. 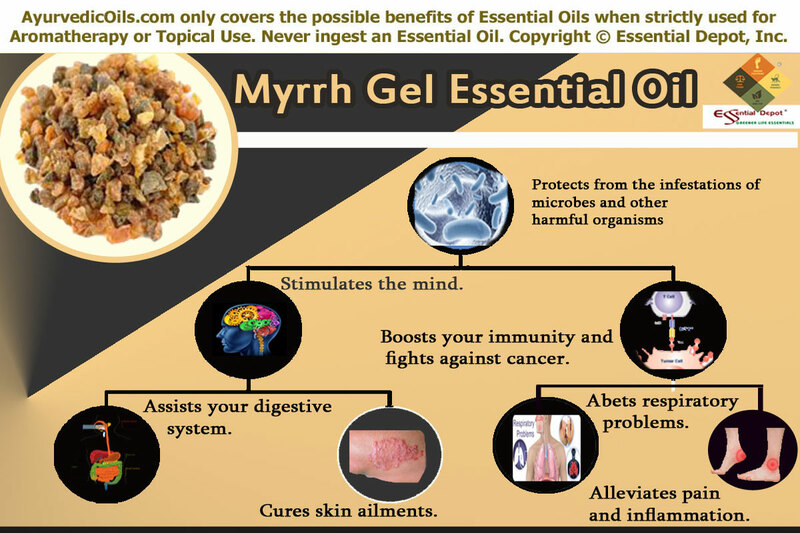 Essential oils should not be ingested and is suggested good only for topical use in diluted form. This is due to the fact that pure and organic essential oils are highly concentrated liquids and may cause adverse effects, if used on the skin directly. 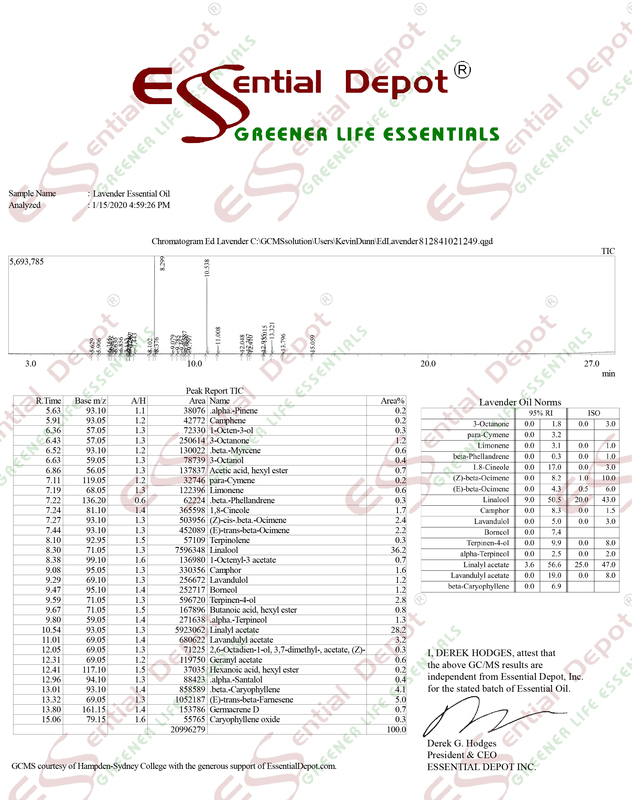 Speak with your Ayurvedic practitioner or healthcare professional before selecting the appropriate essential oils for your state of health along with your unique individual constitution or prakriti. Angelica root essential oil has phototoxic effects and may cause allergic reactions when exposed to direct sunlight immediately after use. Keep essential oils out of reach of children. Get special advice from your Doctor before using essential oils, if you are pregnant or a nursing mother. Angelica root oil is said to exhibit phototoxic effects, the resultant being irritation of the skin, redness, allergies, sunburns, blisters, hyperpigmentation and Photodermatitis or Berloque dermatitis. These skin maladies might occur if your skin is exposed to sunshine after the dermal application of this oil till 12 to 36 hours of usage. The underlying principle is the reaction of plant furocoumarins or Psoralens present in Angelica root oil, namely angelicin. This component reacts negatively whilst absorbing sunlight visibly and ends up in toxicity, by way of modifying the molecular structure of the skin cells. Generally, coumarins present in plant extracts are said to cause adverse side effects like phototoxic, carcinogenic, genotoxic and mutagenic effects by impeding with the DNA, on amalgamating with the ultraviolet rays exhibited from sunlight. Research reports state that autoxidation components in Angelica root oil like alpha-pinene, limonene and delta-3-carene might cause skin sensitization. Storage of this oil in dark and airtight container, preferably in refrigerator is recommended. The International Fragrance Association (IFRA) says that the safe level of dilution for the use of Angelica root oil on the skin exposed to sun is 0.8%, which is about 4.8 drops per ounce of any carrier oils. Studies suggest that Angelica root oil must be avoided by pregnant and lactating women mainly due to its phototoxic, emmenagogue and abortifacient properties, as it might cause changes in the cellular structure of the fetus, induce menstruation and lessen the supply of milk (anti-galactogogue) in nursing mothers. A 2011 study on ‘Angelica archangelica’ published in the International Journal of Nutrition, Pharmacology, Neurological Diseases states that this traditional herb can be a potent alternative for producing harmless and effectual anti-cancer drugs. The most comforting note is that the coumarins are not the major constituents of Angelica root oil and grants a sizeable periphery of safety for dermatological uses. Yet, the great news is that Furocoumarins are also used along with the long-wave ultraviolet light treatment in the diagnosis of T-cell lymphoma, vitiligo, psoriasis and mycosis fungoides. This warning is pertinent to direct use on the skin like creams, massage oils, lotions and balms not for wash-off products like soaps, shampoos and other bath preparations. Angelica archangelica Linn., is an angel on earth for the treatment of diseases by ZA Bhat, Dinesh Kumar, MY Shah Department of Pharmaceutical Sciences, University of Kashmir, Hazaratbal, Srinagar, Jammu and Kashmir, India published in the International Journal of Nutrition, Pharmacology, and Neurological Diseases.